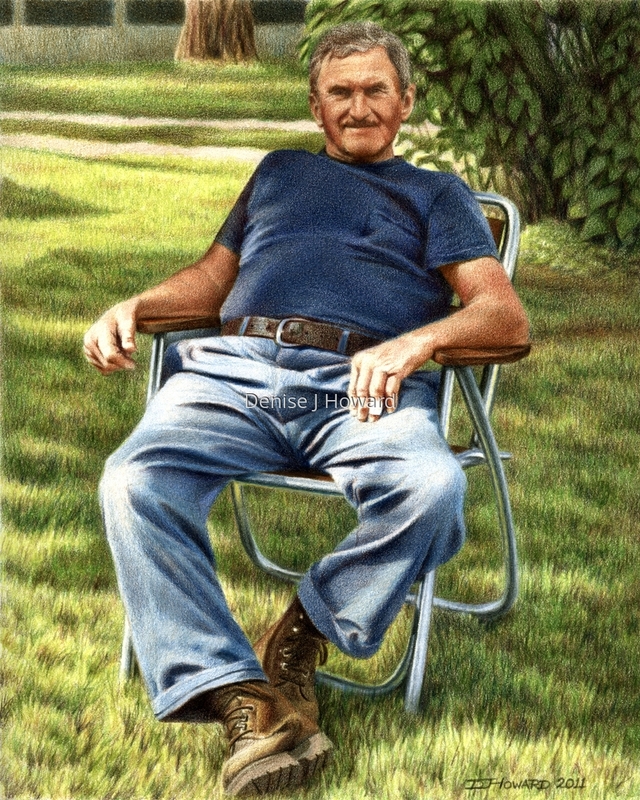 A portrait of my Dad at 82, resting at the end of another day of work on the farm. His gnarled fingers are perpetually bandaged, his boots perpetually dusty, his exposed skin perpetually tanned. Colored pencil on Stonehenge paper. Exhibited in UKCPS Open International Exhibition, 2014.